Sign up and Mauno will send you updates about new Sinine songs, live shows and special offers. Sinine is Estonian electronica singer/songwriter/producer Mauno Meesit with additional vocal performance by Liina Rätsep and live-drums by Jaagup Tormis. Dreamy vocals, driving basses, large drums and beautifully blissed-out synth textures characterise the second full-length album "Dreams Come True" by the Estonian electronica act Sinine. On this album Sinine's mastermind singer/songwriter/producer Mauno Meesit has teamed up with the brilliant female voice of Liina Rätsep as well as several guest vocalists. 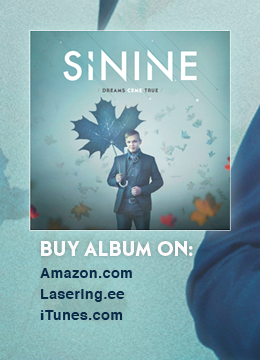 Sinine's compositions organically blend a pop sensibility with elements of rock, electronica, dubstep, classical, ambient, folk and trip-hop music onto a single album underscored by Meesit's distinctive musical handwriting. Universally appealing and at the same time surprisingly intimate, Sinine's songs combine a polished surface with raw emotional depth and a highly personal vision. 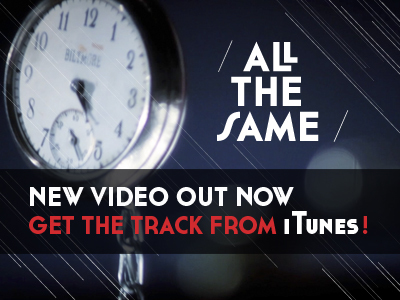 "I am interested in creating only heartfelt music, " says Meesit. "It can be either hauntingly beautiful or ragingly powerful — sometimes both —, but it always has to have this special element that will make it more than just a song." Having already broken the boundaries between pop and alternative music with his previous "Butterflies" album in 2009, Sinine take the idea even further with "Dreams Come True". "Dreams Come True" will move hearts and bodies as well. - SININE has also shared stages together with well known bands such as The Birthday Massacre (CAN), Diorama (GER), Diary of Dreams (GER) and many others. - "Highlight of October" title in 2009 in one of the leading electronic music print magazine in the Germany - Sonic Seducer.